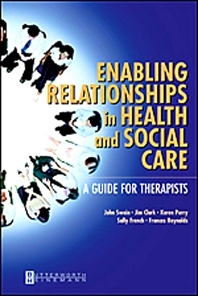 This book explores the provision and practice of professional support and refers to the processes of enabling relationships between participants: professionals and clients. It also invokes the power of relationships to empower and construct change. Coverage of the issues surrounding the use of counseling skills provides the reader with knowledge of the processes and principles of professional support. Reflective practitioner approach provides ideas for individual and group activities to help relate knowledge to real-life practice. Wide range of personal and formal perspectives includes various diverse points of view, including that of the client.